Posted on July 17, 2018 at 10:08 pm. In this infographic, we illustrate how skyrocketing healthcare and health insurance costs are stealing profits from companies and undermining wage increases. Working with a Next Generation benefits advisor can help you reject the status quo, making your benefits plan a valuable business tool. Posted on July 17, 2018 at 9:48 pm. 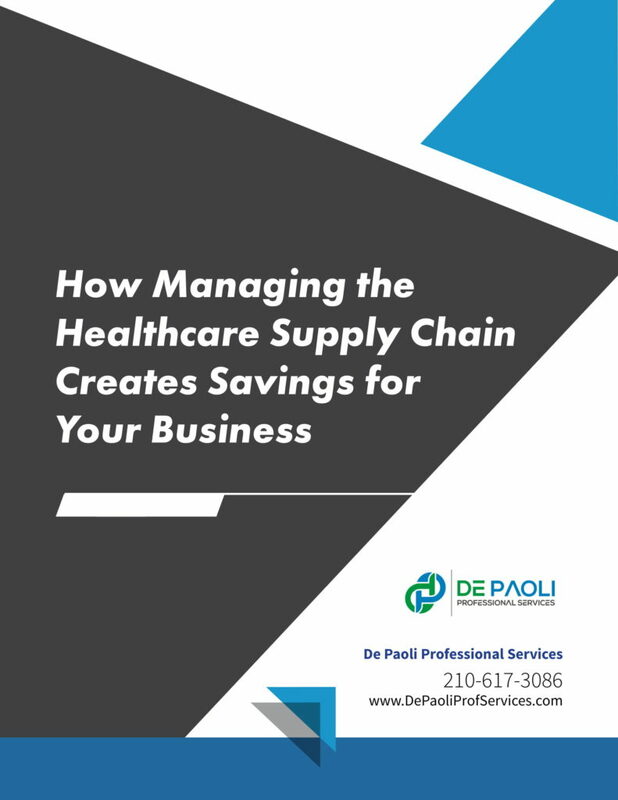 In this document, we provide you with a summary of steps in the healthcare supply chain where your advisor can help you reduce costs. By being informed, you’ll make the best decisions for your employees and your bottom line. Managing the ‘supply chain’ is a standard practice in virtually every industry because of the significant strategic and revenue opportunities that come along with better solutions and enhanced efficiency. Healthcare benefits, however, are still behind. Just as an office manager would be apprehensive trusting an intern to select and purchase a new computer on their own, business owners alike should not automatically trust their employees to make the most cost-efficient choices when it comes to their healthcare on their own. To read more, download the full copy. Posted on June 21, 2018 at 10:07 pm. There has been a lot of discussion lately about the changing nature of the CFO’s role. There are many people who write eloquently on the subject, and I am a huge fan of Peter Chisambara of ERMP Insight. His latest blog post, Finance Transformation: From Efficiency to Effectiveness, talks about how the CFO and the finance department are helping different business units execute more strategically. Typically, the goal of the healthcare plan is retention and recruitment. Let’s get back to that, not further away from it. Today’s healthcare plans are a huge expense for the employer and often unusable for the employee. No wonder everyone is aggravated!!! Sounds great, right? But, how? When I hear that, I think I am paying the best price. That is not necessarily true. And what about the quality of care? Historically, it was nearly impossible to predict and control a company’s healthcare budget. 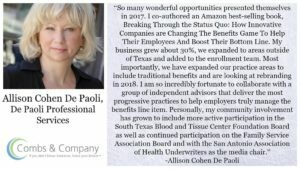 Today, due to new solutions, strategies, technology, and a wealth of data, business leaders can (and are) taking back control of their healthcare budgets to reclaim trapped profits while delivering a benefits package that leads to healthier, happier, more engaged employees that are more fulfilled and more productive. 1. Uncover the hidden cost drivers – Do you know what commissions you are actually paying? What diagnoses are driving your costs? Are your employees really receiving quality care? All these questions are answerable now. 2. 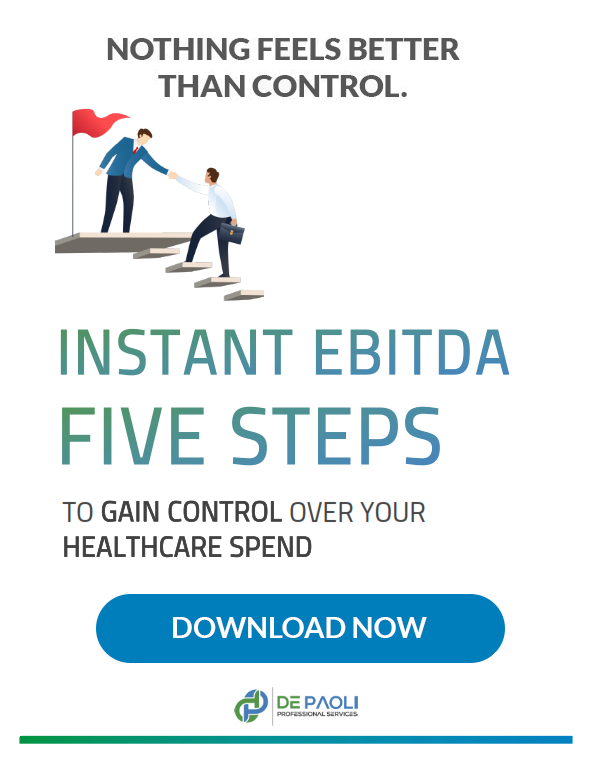 Uncover the hidden savings opportunities – Who offers the best care at the most effective cost (EASY to find out)? Do your vendors have a fiduciary responsibility to you, rather than each other? If not, you are missing out on substantial savings. 3. Design your customized roadmap to savings, cost control and predictability – Every employer is a bit different. Design a plan that works for you. You wouldn’t let your employee buy their own computer or desk or supplies on your dime without knowing that the product meets your quality specifications and what it costs. Why let them do it with your medical plan dollars? Posted on June 9, 2018 at 4:34 pm. Delivering healthcare to your employees is a growing business challenge. Not only do annual premiums rise year-after-year, but more employees are making career decisions based on benefits plans, especially as pressure on consumer healthcare costs increase as well. Your benefits plan is more than a simple line-item expense, and you do not have to sink into benefits quicksand with each rate increase. With the right approach and the right insights, your benefits plan can be a strategic advantage that not only preserves your budget but also drives other key performance factors like employee retention and morale. To realize this potential, however, you need an expert that does more than the “status quo” insurance broker. You need a next-generation benefits adviser.